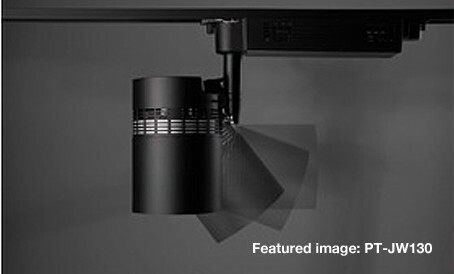 Inspired industrial design results in a lighting and projection device not much larger than a conventional spotlight, but with loads of extra onboard functionality. Note: Track not included. PT-JX200/JW130 Series cannot be used with lighting-track-connecting light dimmers. For information on installing a track system, please refer to manufacturer's instructions and precautions. Three setup options are available: an easily removable lighting track*1 mounting, direct mounting on the ceiling or wall*2, or on-floor installation. *1 Track not included. 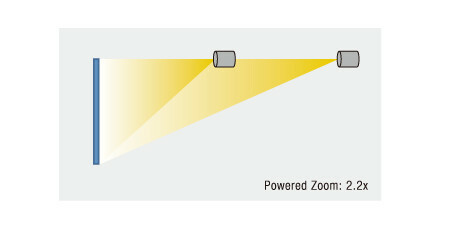 PT-JX200/JW130 Series cannot be used with lighting-track-connecting light dimmers. For information on installing a track system, please refer to manufacturer's instructions and precautions. *2 Wall-mounting capability available with PT-JX200F models only. Flexible mount gimbal lets you light or project onto tabletops and floors from any angle through 360° horizontal and 180° vertical, as well as in portrait orientation. Space Player is powered by 1-Chip DLP™ technology with original SOLID SHINE Laser light source featuring a hybrid wheel. 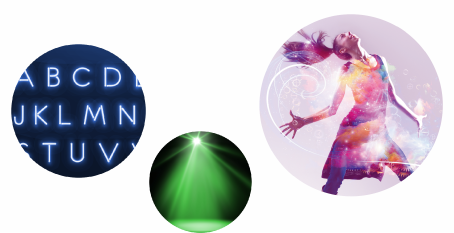 The laser drive serves exceptionally vivid colors at high brightness: the PT-JX200 Series has 2,000 lumens brightness in XGA resolution, and PT-JW130 Series has 1,000 lumens brightness at WXGA resolution. Filterless, dust-resistant SOLID SHINE Laser drive and optical engine means you can project for about 20,000 hours* without downtime for maintenance. * Panasonic recommends cleaning or checkup at point of purchase after 20,000 hours (approximately). Light source lifetime may be reduced depending on environmental conditions. Dustproof tests are conducted to confirm operational effectiveness under conditions with 0.15 mg/m3 of particulate matter (based on tests by the American Society of Heating, Refrigerating, and Air-Conditioning Engineers [ASHRAE], and the Japanese Building Maintenance Association). Measurements are made using acceleration tests. Space Player supports standard video and still media formats via HDMI terminal, SD Card, and wired/wireless LAN*. * Video playback is not supported via Wi-Fi. Both the PT-JW130 and PT-JX200 Series are compatible with Panasonic wireless apps for select mobile devices and PC, which offer a variety of remote control and media casting options. The PT-JX200/JW130 Series also supports Miracast screen mirroring of certain media from compatible devices. 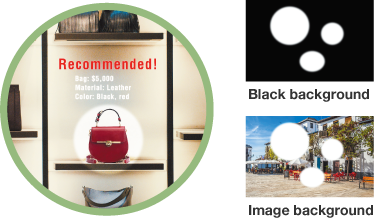 Choose a custom spotlight template via remote control and illuminate select areas (such as retail items) within a projected background. 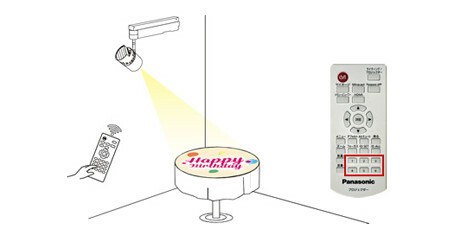 Size, position, and number of these spotlights are easily configurable. Configure media to play at certain times of day, on specific days, up to 12 weeks in advance using the playback scheduling function. Content playback changes automatically as desired. Content Management Software makes it possible to create scheduling data and media playlist on a PC and save it to one or more SD Cards. Insert the card into Space Players to execute the schedule. The software reduces complexity for temporary installations or where the device is frequently moved from place to place. 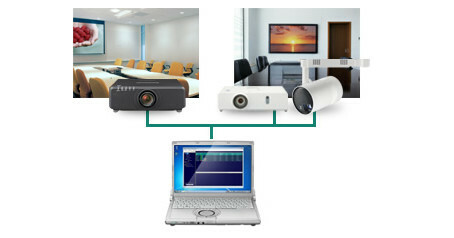 In-browser control for smart devices and support for PJ Link™ (Class 1), Crestron Roomview™ Connected, and Art-Net (DMX512) simplifies control integration into an existing AV network. This free software controls up to 2,048 units over LAN network from a single PC—ideal for large AV networks, such as museums, houses of worship, and exhibition spaces. For monitoring, individual device status can be listed in groups, with more detailed information shown separately. Control functions include power ON/OFF, input switching, scheduling, and command inputs. 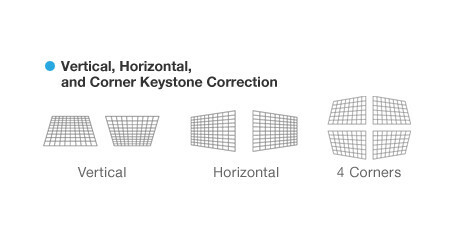 Easily correct picture distortion via remote control without external equipment using vertical and horizontal independent correction or four-corner correction. 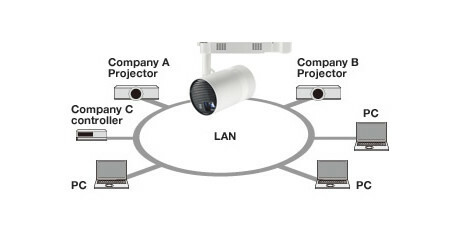 Space Player’s 2.2x powered zoom lens generates big pictures from close up or from far away, granting you the flexibility to adjust projection to suit venue layout with a wide range of throw distances. Cue content using buttons 1–6 on the remote controller. 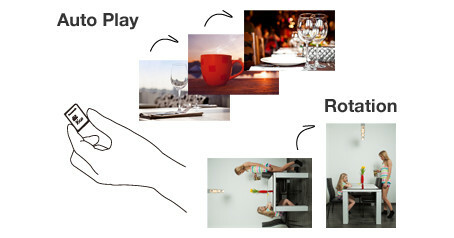 Playback is matched to key presses, making it easy to achieve surprise effects. * Note: Content takes 1–3 seconds to appear. Multiple units can play the same or different content simultaneously over network for impressive spatial enhancements of larger venues.